STEP UP: Last week, Lucia Gagliardone ’20 performed her final class project, which she choreographed. She also designed the costume, lighting and sound for her performance. 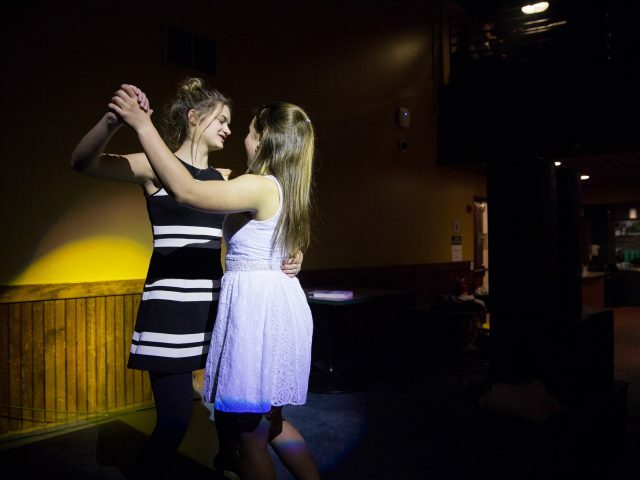 In past years, dance classes performed in Pickard Theater, but this year the recital was held in a dance studio in Edwards Center for Art and Dance on Wednesday and Thursday nights. 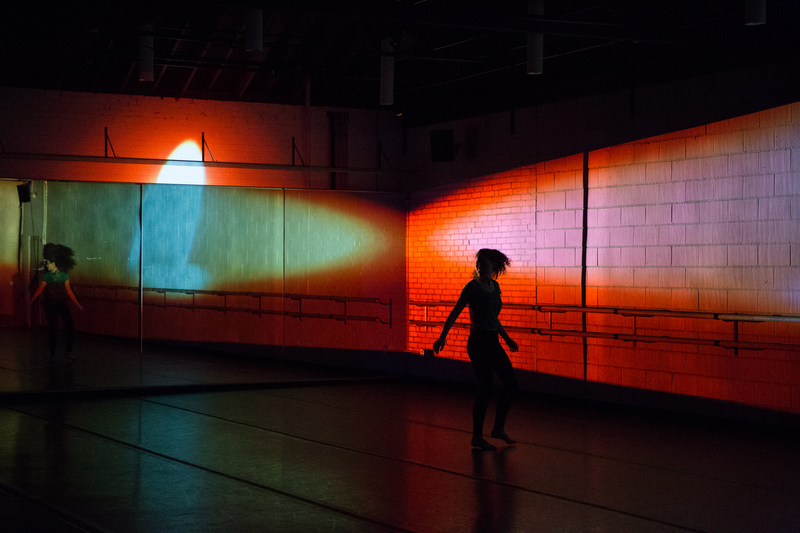 Routines from “Modern 1: Repertory and Performance,” “Making Dances” and “Choreography for Dancers” classes appeared in the show, allowing the audience to interact with the performers as they move in different facings about the room. 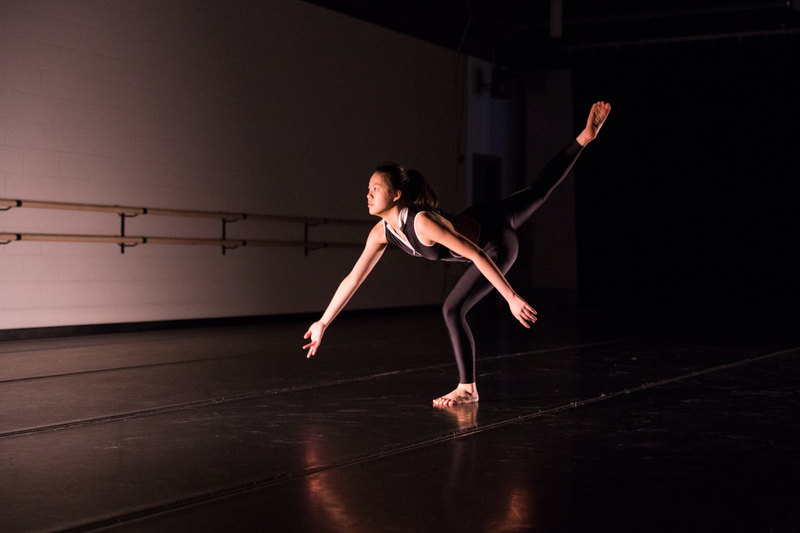 The four students in Aoki’s choreography class are performing solos based on their daily routines, including clips of “found” sound they have heard in their everyday lives. Providing students with an academic approach to dance emphasizes the performing arts as a legitimate field of study, according to Aoki. “For students [who] really do want to focus on [dance] they can dive into the disciplines rather than viewing it as an extracurricular add-on to their academic subjects,” said Aoki. 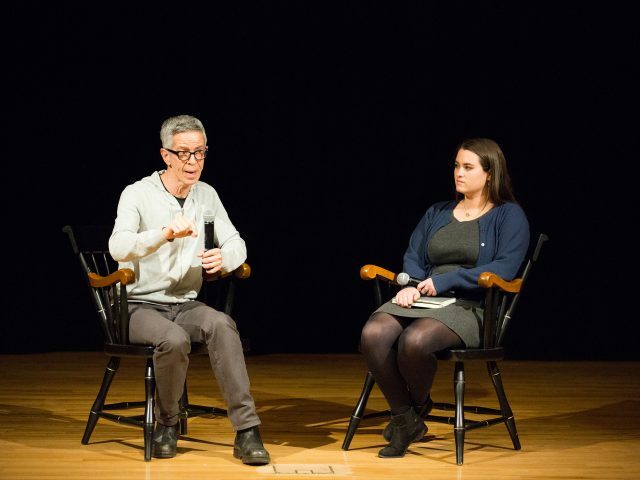 Tyler Chonoles ’19 (left) and Destiny Kearney ’21 (right) also performed their final class project on Wednesday and Thursday, along with the other four members of “Modern I: Repertory and Performance.” Their performance was composed of both duets and group numbers, which showcased a variety of styles and tempos. 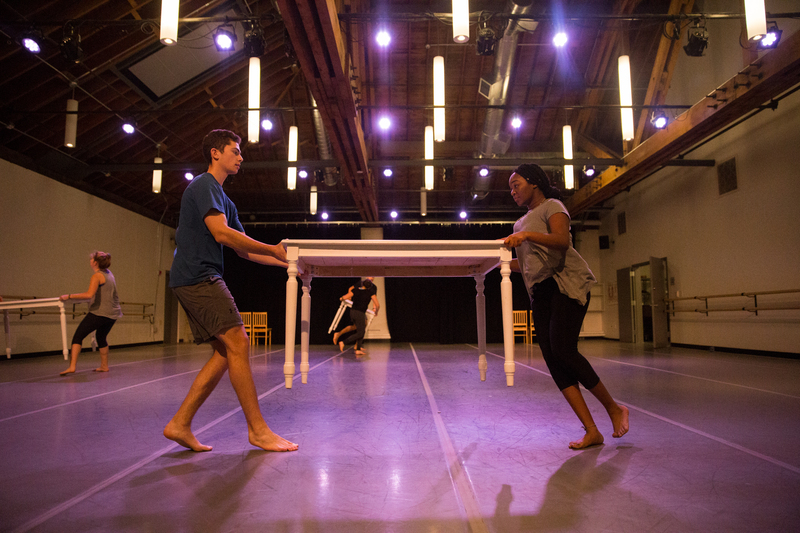 A performing arts major was added to Bowdoin’s curriculum this year, with concentrations in dance, theatre or an interdisciplinary approach. Lucia Gagliardone ’20, who performed on Wednesday and Thursday, is currently the only student pursuing the dance concentration. For Aoki, performing is a valuable experience for students in and of itself. 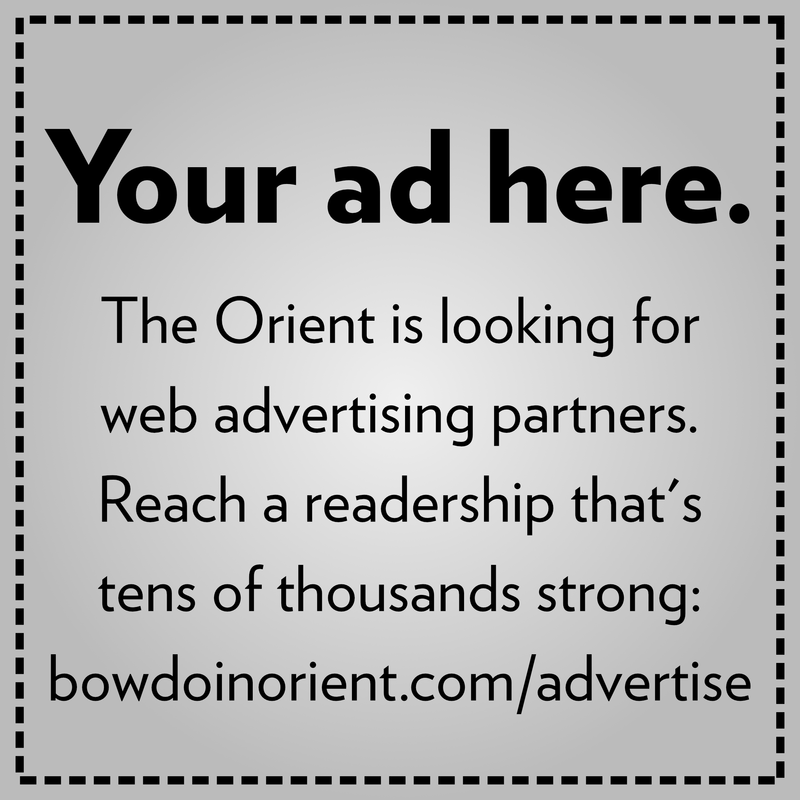 Aoki believes Bowdoin’s dance classes reflect a central value of the College.